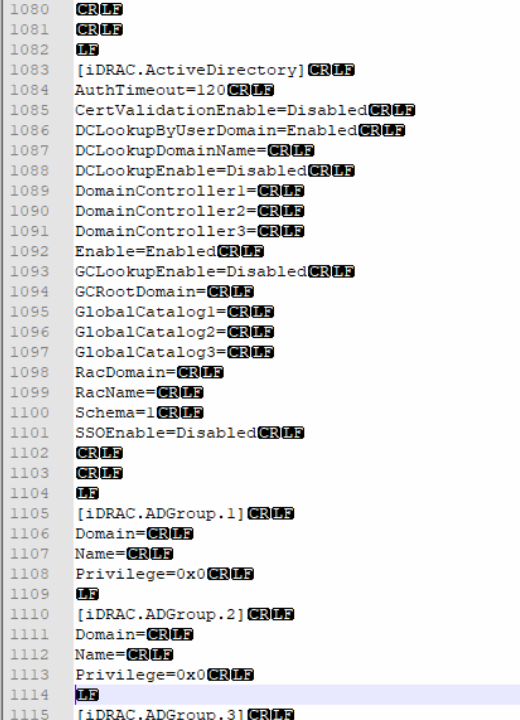 To interface with the iDRAC from the script, I'm using Dell Remote Access Controller Administration (RACADM) CLI, which supports remote access. 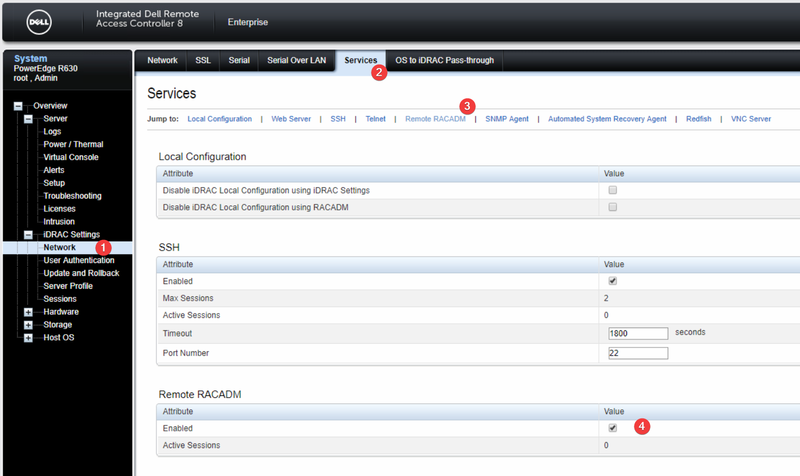 First, you will want to make sure that your iDRAC has Remote RACADM enabled in make sure it is enabled under Network, Services, Remote RACADM in the iDRAC Web UI. That first line after the certificate warning, is the service tag. I am using -r IP but -r DNS.Host.Name is equally valid, if there is an entry set up, which I would highly recommend. At first, I was applying the settings with 8+ separate racadm calls, but this was quite time consuming to wait for each to finish. Instead I switched to building a config file and applying that for all the CSR settings at once. and there are some interesting line-endings. This line ending pattern is interesting, but in my testing it was a red-herring and it was perfectly happy if I just made my config file with CR-LF Line endings. However, I did find that I needed to have my config file I created ANSI encoded. I did this by specifying -Encoding ASCII when I wrote my string with Out-File. Thanks for this guide, great work. How can I do multiple servers from the script? be configured before a CSR can be generated. IS this script compatible with v6 of IDRAC?